The National Basketball Association has its own version of Newton’s law of inertia. Teams that win tend to keep winning. Teams that lose tend to keep right on losing. Each year, 16 of the league’s 30 franchises qualify for its playoffs, a simple and straightforward gauge of quality. For the past 15 years, on average, only about four teams that failed to make a given season’s playoffs improved enough to qualify the following season. In pro basketball, it seems, failure begets more failure. The Portland Trail Blazers know this axiom very well. They made the playoffs every single season from 1983 until 2003—an epoch of sustained excellence by any sports standard. (Of course, as Blazers fans know all too well, none of those seasons yielded a league championship.) But once that streak stopped, it stopped hard: Portland missed the postseason for the next five years and has swung on a yo-yo of streaks ever since. After missing out the past two seasons, a rebuilt Blazers team now enters 2013–14 with a clear goal: to become one of the lucky few that jump from the playoff scrap heap back into the league’s upper echelon. Hitting that mark could help revive the fortunes of a franchise that has suffered many turbulent times, including 13 straight losses to finish last season. There is hope—in particular, hope personified by point guard Damian Lillard, who roared out of basketball nowhere (Ogden, Utah’s Weber State) to earn the NBA’s 2013 Rookie of the Year honors. While the 23-year-old can’t carry the franchise by himself, his blossoming talent could help resuscitate the fortunes of Portland’s beloved but erratic team. When USA Basketball held a training camp in Las Vegas this summer to evaluate prospects for the national team, legendary coach Mike Krzyzewski vowed total impartiality, refusing to handicap or assess players publicly. But soon, Coach K, one of the world’s most astute judges of basketball talent, let it slip that he had a few favorites. Damian Lillard was one of them. It’s been a while since a Blazer has received such a weighty stamp of approval. Portland’s brightest days over the past decade came back in 2009, a promising 54-win campaign that looked like the beginning of a golden era. Instead, serious knee injuries stunted the careers of all-star guard Brandon Roy and center Greg Oden, the top pick of the 2007 draft, and the Blazers drifted into decline. Last year, they were also-rans. Enter Lillard, a 6-foot-3 playmaker who presents an unusual and valuable contradiction: he is extremely competitive, but rarely loses grip on his emotions, whether on the court or in front of the cameras. 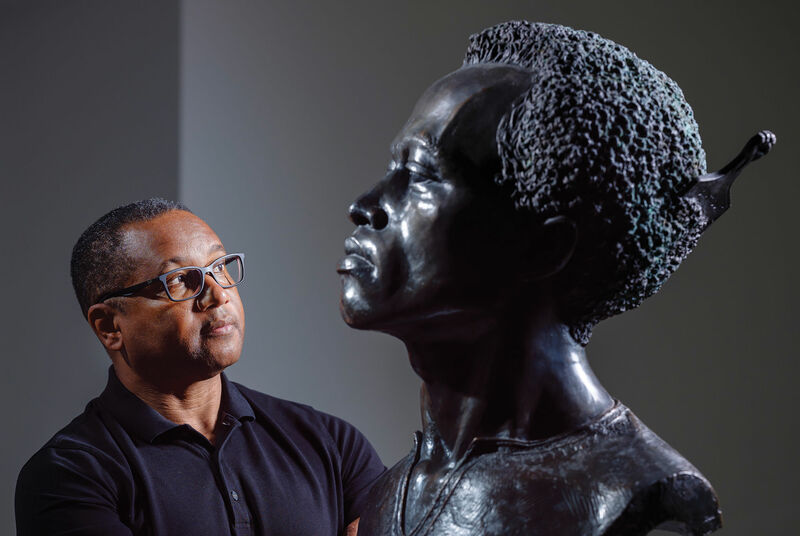 That poise is remarkable, considering how quickly he has achieved national recognition. Lillard essentially ascended straight from anonymity in Ogden to battling Kobe Bryant, who praised him as a “bad boy” after a memorable April matchup. But even as the smooth-shooting Lillard’s Twitter following rocketed from 2,000 to 221,000 in one year, his diction remained so flat and unassuming that in postgame interviews you could rarely tell how well he played—or even whether the Blazers won. He’s not distant or disinterested, just serene. The Blazers need their cool-headed new floor general to an almost comical degree. When Lillard was on the court last season, the Blazers’ offense ranked among the NBA’s 10 best. When he went to the bench, the team’s offense instantly became the league’s worst. And so the rookie played: 3,167 minutes, more than any other player in the league. By comparison, Roy averaged 2,288 minutes over his five seasons with Portland. Oden played a total of 1,816 minutes over five years. 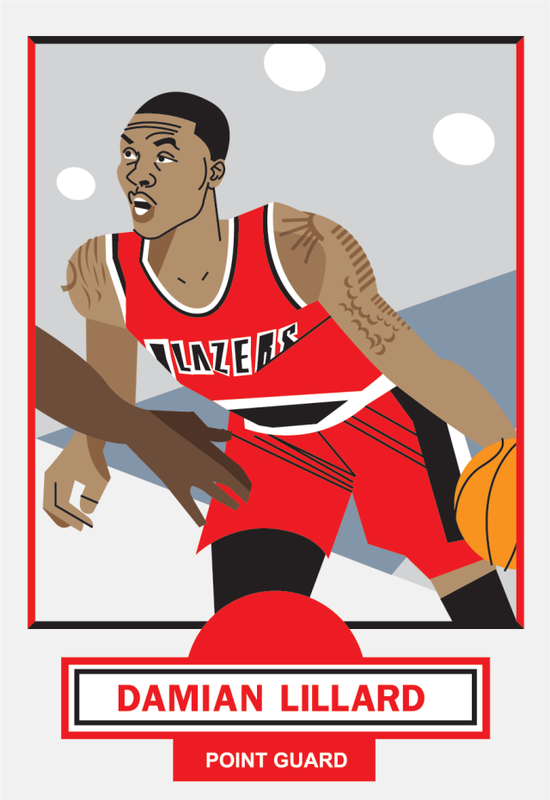 Lillard’s calm persona, potent offense, and durability could propel a transcendent talent. Still, he remains a work in progress. When Krzyzewski set Lillard against the USA camp’s other star point guard, Kyrie Irving, the Blazers’ young hope was outperformed. For Portland to find success, Lillard must take the next step, from overachieving up-and-comer to certified star. 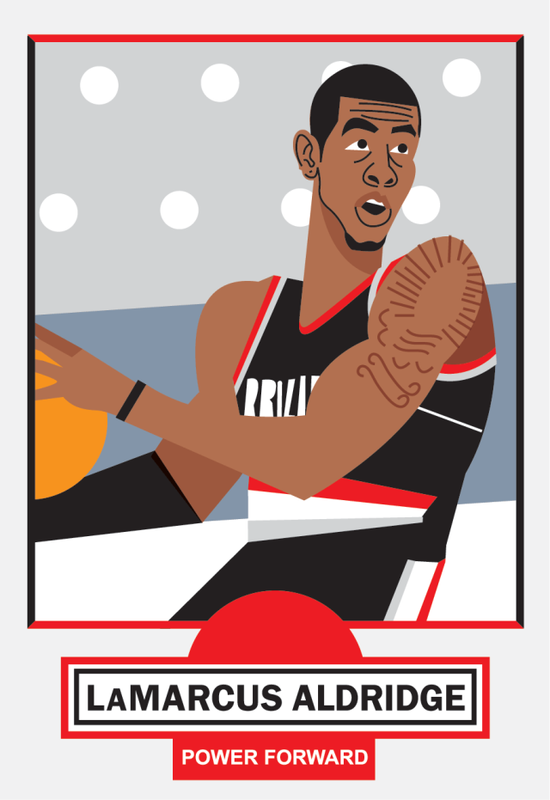 As Lillard rises, 2013–14 looks like a decisive year for power forward LaMarcus Aldridge, Portland’s lone all-star. In the middle of his prime at 28, Aldridge enters his eighth season without a single playoff series victory to his name. 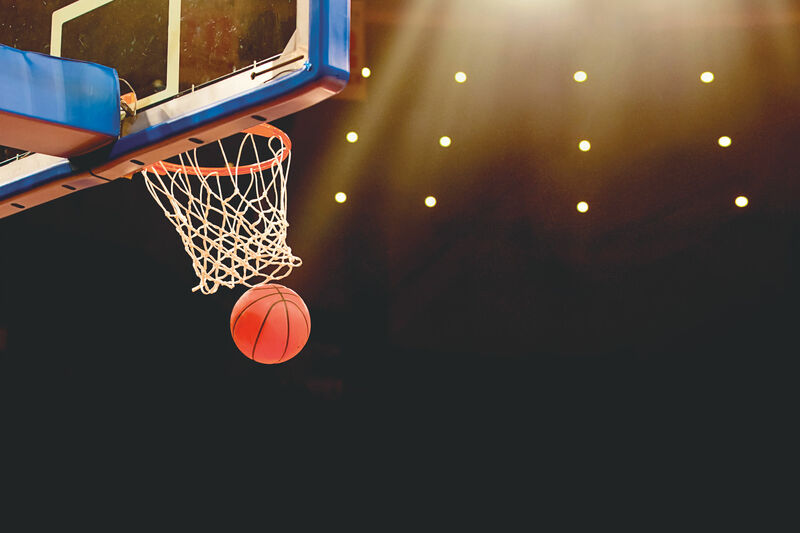 The recent history of the NBA is full of stars in smaller markets who reached this very point in their careers and bolted to bigger cities and flashier teams. LeBron James famously took his talents from Cleveland to Miami, and won two championships. New Orleans traded an unhappy Chris Paul to the Los Angeles Clippers. Dwight Howard, the newest Houston Rocket, is on his third team in three seasons after years of whiny discontent in Orlando. Aldridge’s current contract does not expire until July 2015. But rumors circulated for months that he was agitating behind the scenes for a trade to a more competitive team. Aldridge repeatedly denied it. In August, he acknowledged feeling “extreme frustration” after last season. The team’s offseason acquisition of a number of veteran players seems to have placated him, and Aldridge says he’s recommitted. Will it last? His future in Portland could well hinge on the team’s success this year. If Aldridge can coalesce with Lillard to deliver the Blazers to the playoffs, perhaps he’ll opt to stick around. If not, the Blazers will face the possibility of an even more radical rebuilding project that could set the team back years. Since april, 13 NBA teams have parted ways with their coaches. Some coaches lost their jobs after less than a year. Others were canned even though they led their teams to franchise-best records. Second-year Blazers coach Terry Stotts needs few reminders of his expendability. The son of a coach and a basketball lifer himself, the 55-year-old has never held an NBA head-coaching job with the same team for three straight seasons. The good news for Stotts: this is his most talented roster ever. This summer, Portland added draft pick C. J. McCollum, a polished scoring guard from Pennsylvania’s Lehigh University, plus a new starting center in Robin Lopez and a number of other proven players. All the new and veteran talent gives Stotts something he lacked last year: options. Portland’s bench ranked at or near the bottom in virtually every meaningful statistical category. How bad was it? The average NBA team could count on 33 points per game from its reserve players. The Blazers got a meager 18.5. 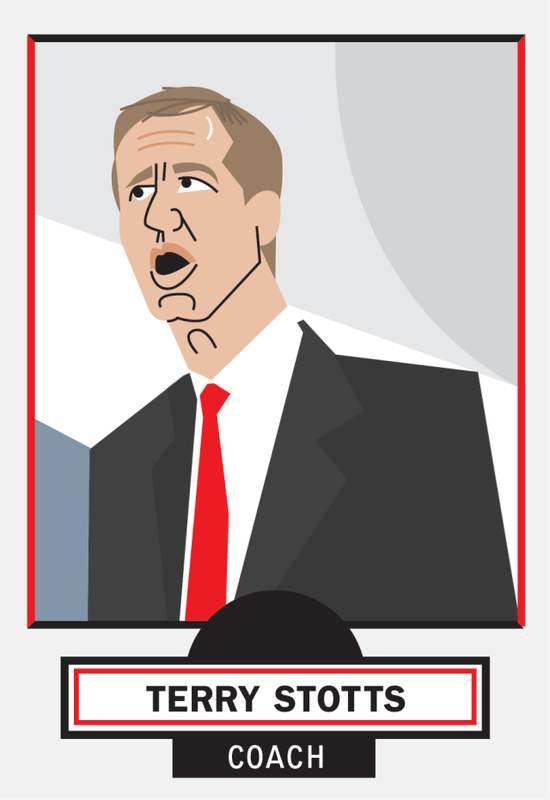 The bad news for Stotts is that expectations increase when talent improves. He coached for a year-plus in Atlanta, lost more games than he won, and was fired in 2004. He then coached for a year-plus in Milwaukee, lost more games than he won, and was fired in 2007. After losing more games than he won last season, Stotts is staring at a potential third strike if Portland falls short of the playoffs in 2014. According to rankings published by Forbes in January, the Blazers were one of just eight NBA teams that failed to turn a profit in 2012, losing an estimated $10 million. You can’t blame the fans: the team consistently places among the league’s leaders in home attendance. One factor, in the eyes of company president and CEO Chris McGowan: a bloated corporate structure. 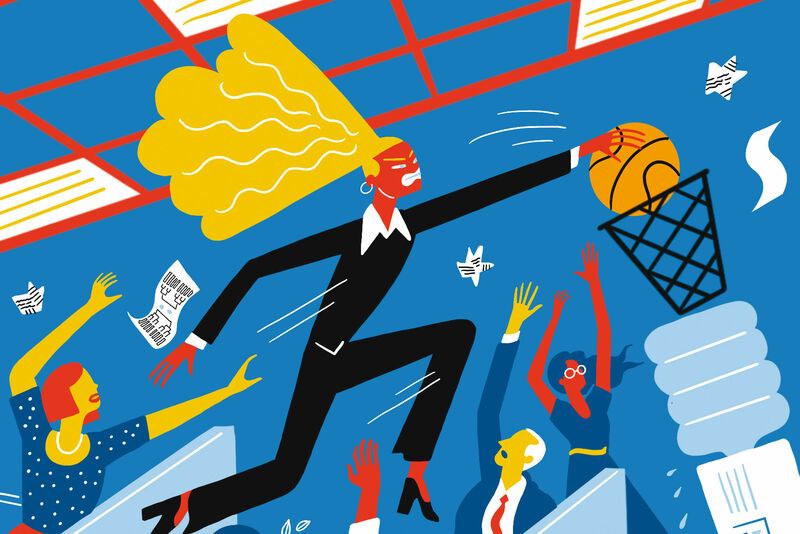 Upon his 2012 hiring, the ambitious 40-year-old head of the Blazers’ business side slashed through multiple rounds of layoffs, sought new revenue streams, and, yes, raised ticket prices. The most visible fruit of his labors: the erstwhile Rose Garden will now be known as the Moda Center. In August, McGowan sold the arena’s naming rights to Moda Health, a Portland-based medical and dental insurance provider, for approximately $40 million over 10 years. (The building’s new moniker met with an almost universally negative reaction from fans.) The Blazers will now self-operate the arena rather than contracting with a management company, a change that should theoretically boost profits. Other arena updates include a new food and beverage provider with an eye toward more local options, and significantly upgraded wireless network capabilities. Blazers general manager Neil Olshey’s summer recalled a Hawthorne Boulevard thrift-store shopping spree. With a number of roster holes to fill, Olshey hunted for bargains, snapping up underutilized or overlooked players. He landed four: Lopez, a seven-footer on the verge of being cut by New Orleans; veteran guard Mo Williams, who no longer fit in with Utah; veteran forward Dorell Wright, whose eager three-point shooting was buried on the bench in Philadelphia; and Thomas Robinson, a superb athlete taken early in the 2012 draft who hasn’t yet found the right home to showcase his skills. 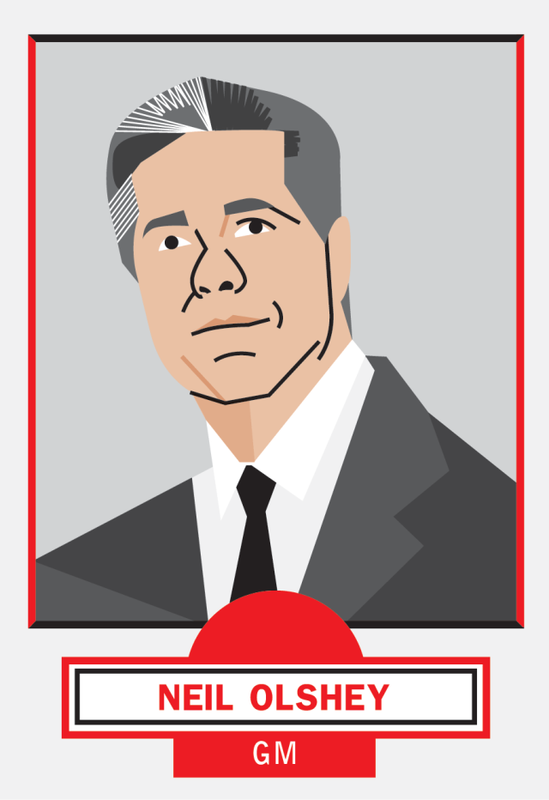 A soap opera actor turned basketball executive, the supremely self-confident Olshey spent the formative years of his hoops career in Los Angeles (albeit with the Clippers rather than the more glamorous Lakers). He appears to love the camera and the sound of his own voice, and he has never looked happier than when he presented a Blazers jersey to the Dalai Lama during His Holiness’s May visit to Portland, flashbulbs popping all around them. Blustery personality aside, Olshey has been very busy, acquiring 12 of the 15 players on Portland’s opening-night roster since he was hired in June 2012. Meanwhile, owner Paul Allen is on his seventh GM (including interims) since 2006; he’s replaced three since 2010. Would a disappointing season lead the eccentric, demanding Microsoft co-founder to swing the ax again? When the Blazers open at home this month against last season’s league runner-up, San Antonio, the organization will face the NBA’s model franchise, a perennial power based in a smaller market, staffed by veteran management, coaches, and players. The Spurs define positive NBA inertia: since 1998, they’ve made the playoffs every season and won four championships. 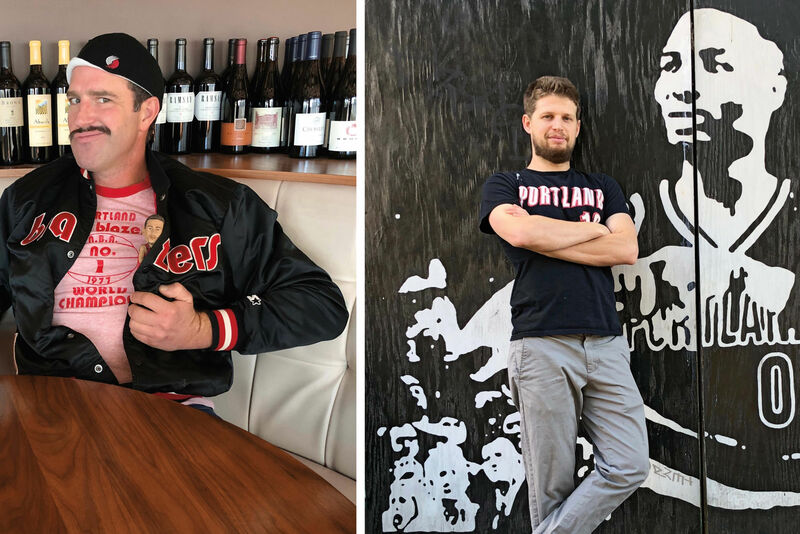 After years of cycling its roster and front office, will this be the season Portland finally finds a winning formula of its own, and sticks to it?